From repairing underground water lines to installing hot water tanks, rely on the team at Lakewood Mechanical, Inc. in Pittsburgh, Pennsylvania, for expert plumbing services. With 150 years of combined experience, there is nothing we haven't seen. 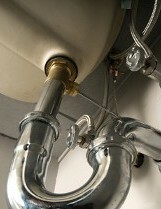 Our registered master plumbers handle anything, including your emergency plumbing needs, 24 hours a day, 7 days a week. Request a service from the experts in Pittsburgh, Pennsylvania, or receive superior service.